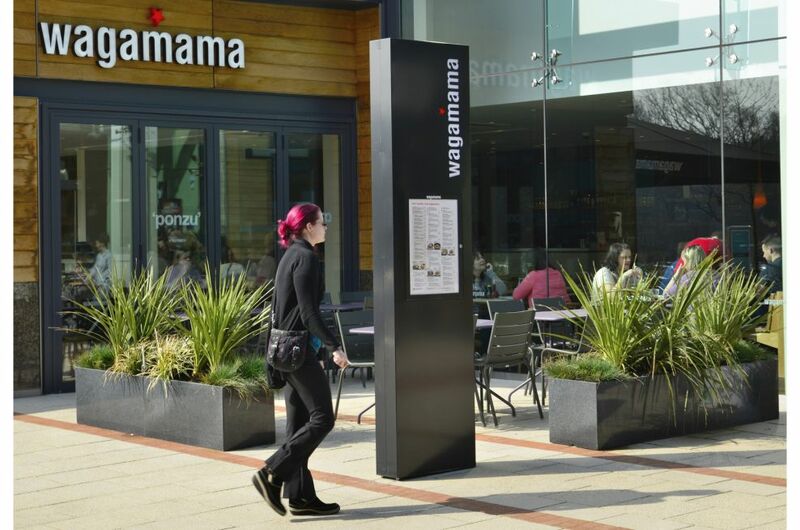 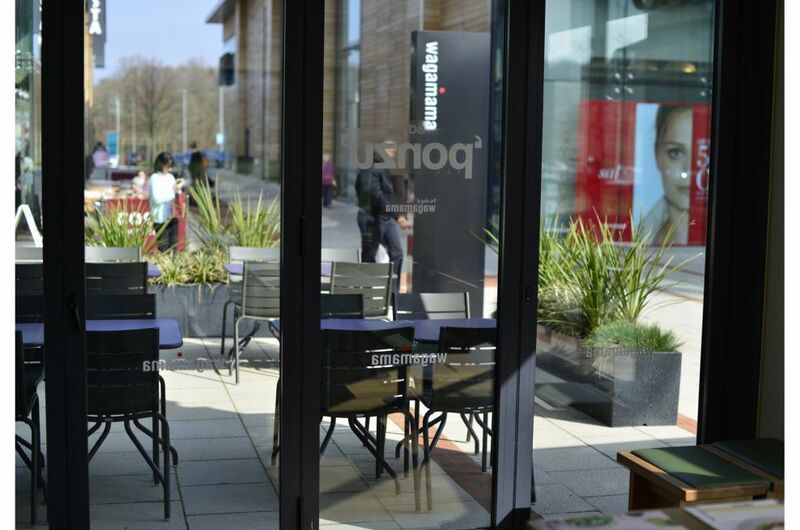 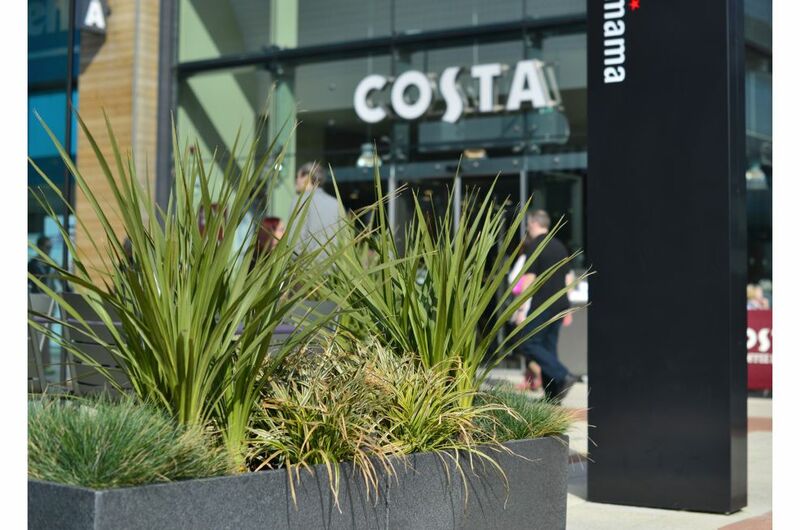 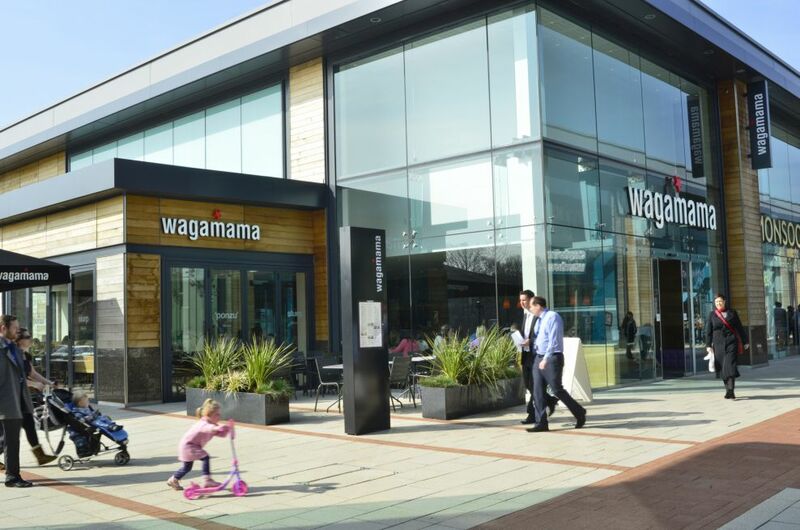 IOTA’s Granite Trough 1000 planters have been selected for Wagamama’s latest restaurant opening at Whiteley Village Shopping Centre. 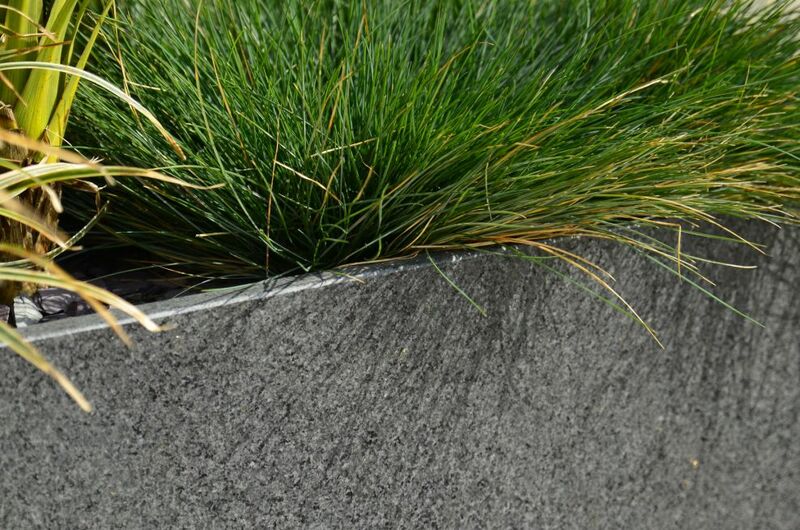 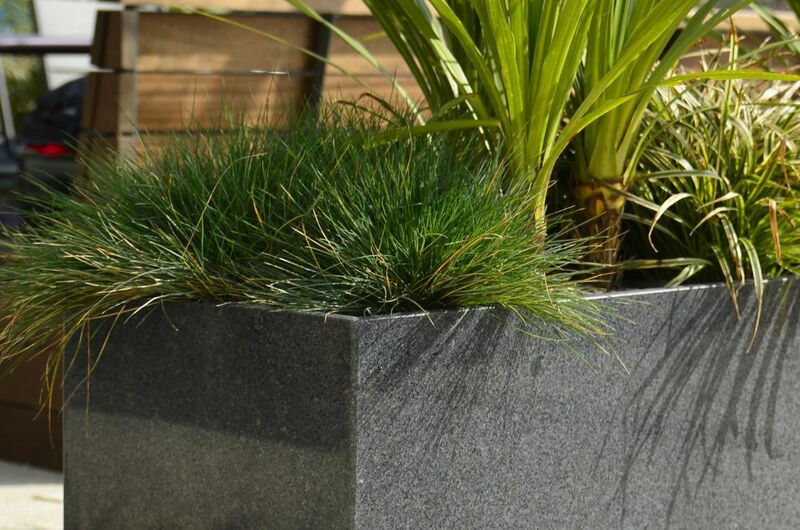 The Granite Trough 1000 planter has a capacity of 170 litres and weighs 115kg, and it is the largest of our trough planters available from stock within IOTA’s granite range. 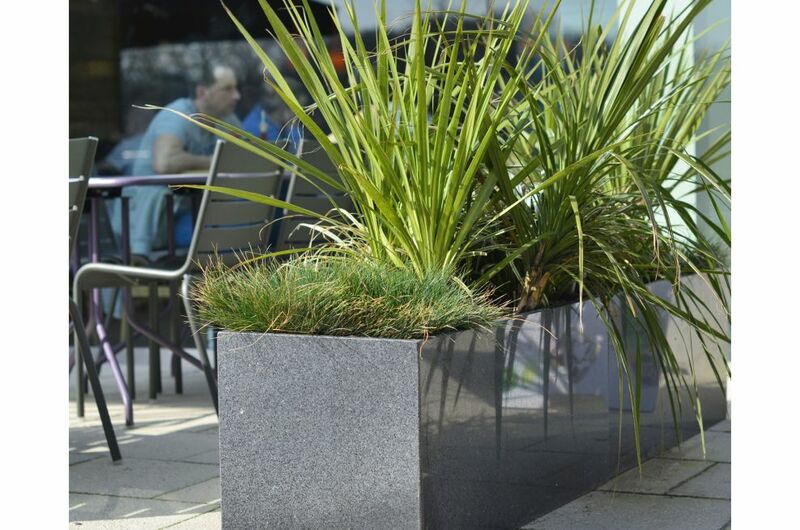 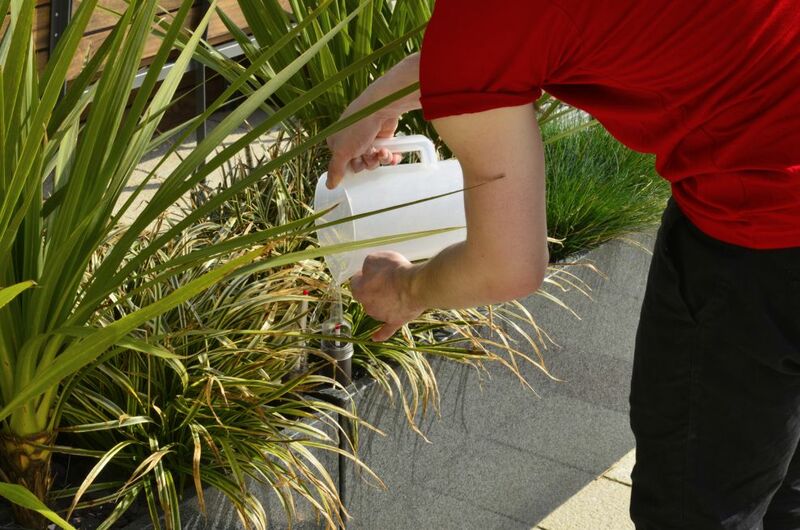 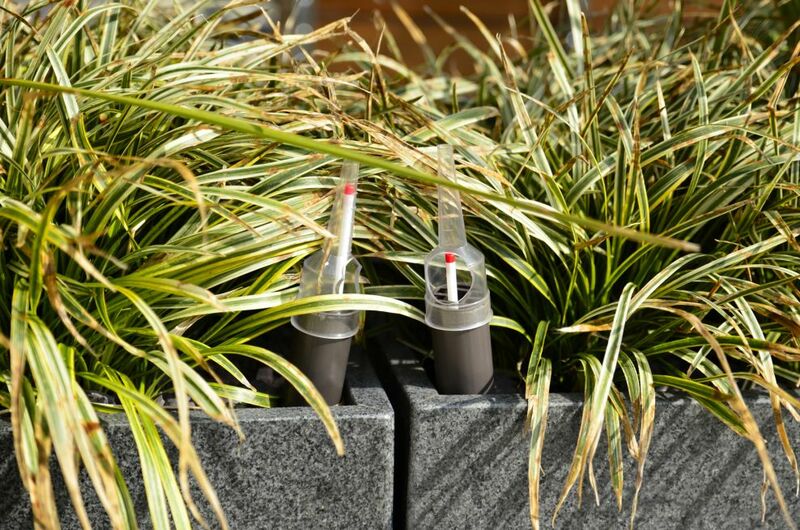 As here, these substantial and robust large outdoor planters are often used in public realm applications as a barrier – to divide space, to guide the flow of pedestrians, or to limit vehicular access. 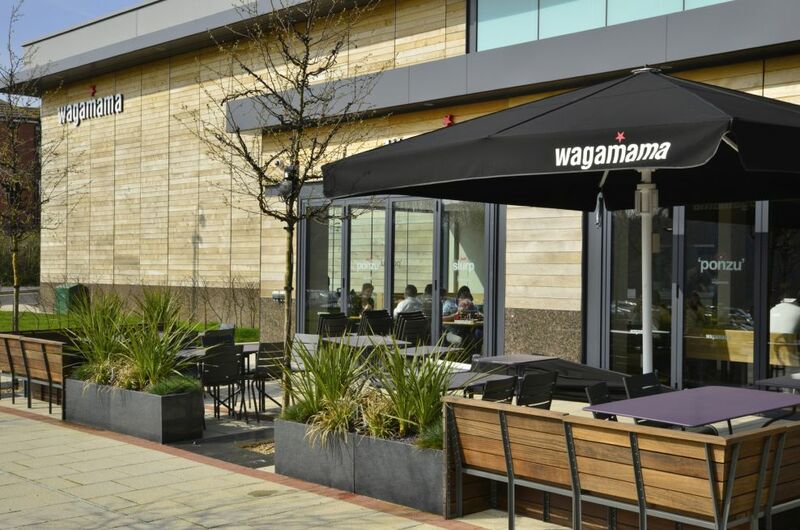 At Wagamama at Whiteley Village, a total of 10nr troughs create structure to the landscaping at the entrance, and border and green an outdoor dining terrace. 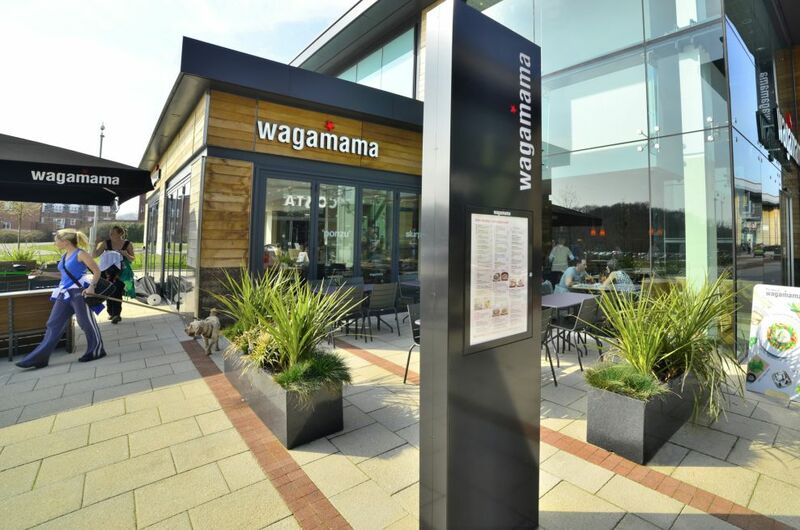 Wagamama serves freshly cooked pan-Asian dishes, in a canteen-style dining area that is inspired by Japan’s popular ramen bars. 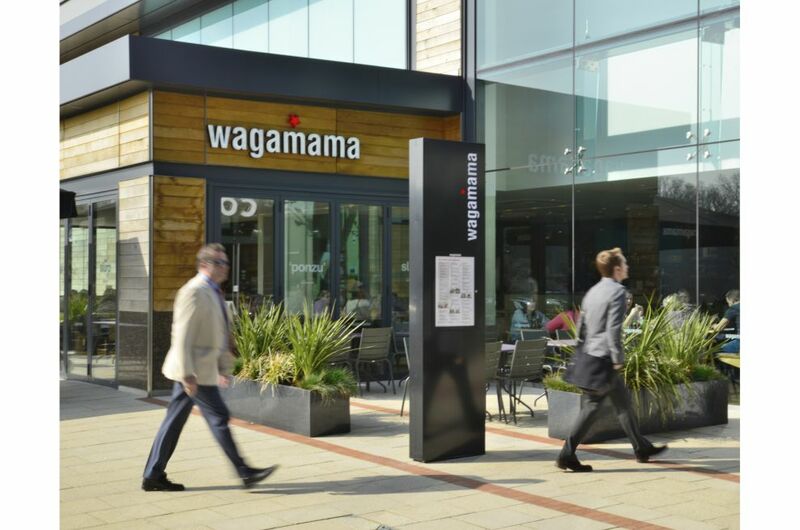 As of January 2014, the chain includes 141 restaurants, with 101 being in the United Kingdom. 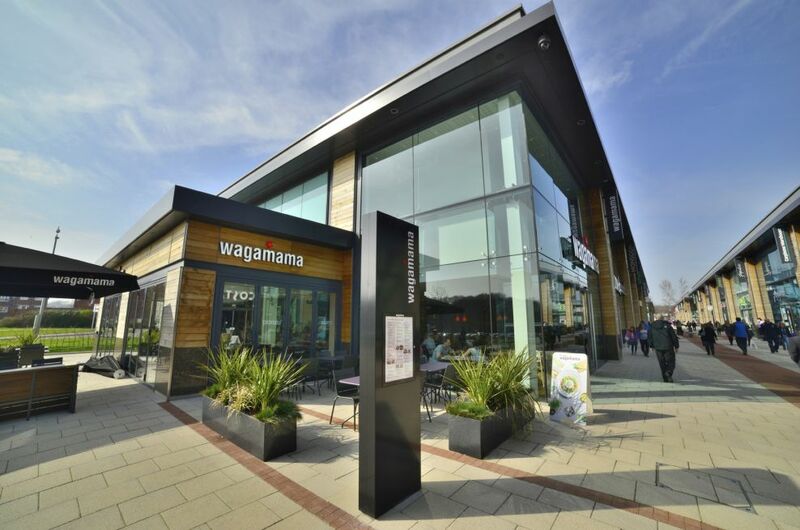 Whiteley Shopping Centre is an £84 million development, opened in May 2013 and comprising 56 units, strategically located between Portsmouth and Southampton off Junction 9 on the M27. 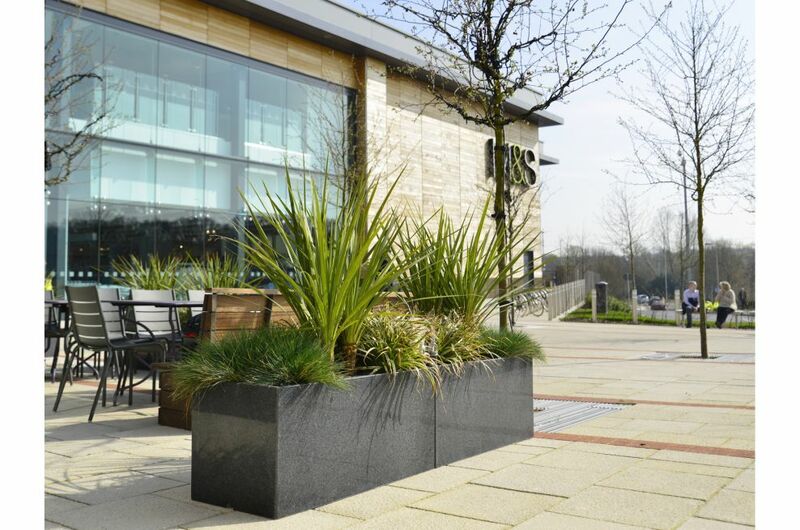 The scheme totals 320,000 sq ft of retail and leisure space, anchored by a 60,000 sq ft Marks & Spencer and a 19,500 sq ft Next. 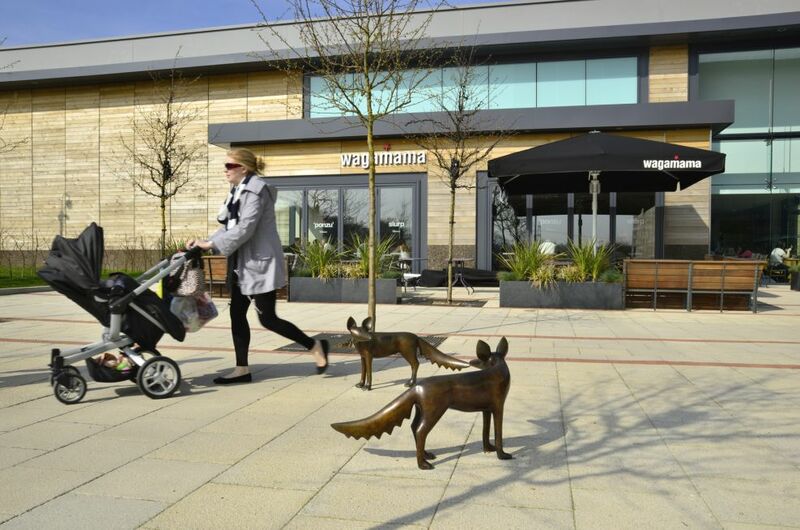 Featuring dramatic double height retail units with oak panelling, the scheme is centred around a new town square with high quality public realm, landscaped spaces and public art. 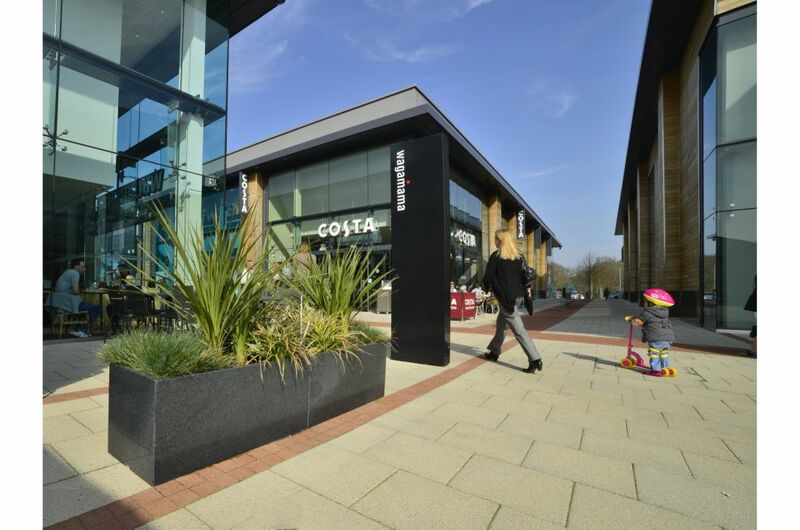 The contemporary design makes use of natural materials, and incorporates extensive energy efficient and sustainability features; and Whiteley is the largest UK retail development to achieve the BREEAM excellent rating.